Money?not sexual adultery?is the #1 problem in relationships. According to Dr. Bonnie, one of the nation?s leading couples therapists, ?nearly one-third of adults in committed relationships admit to lying to their partner about spending habits.? Secret credit cards, binge shopping, revenge spending, and POPs (pissed off purchases) are just a few examples of how financial infidelity undermines trust and harms a relationship. With clarity and compassion, Dr. Bonnie?who has a near one hundred percent success rate in counseling couples? 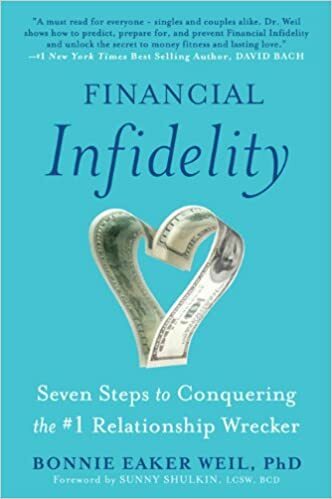 helps readers recognize their hidden financial indiscretions, reconnect with their partners, and recover the trust and intimacy in their relationships.